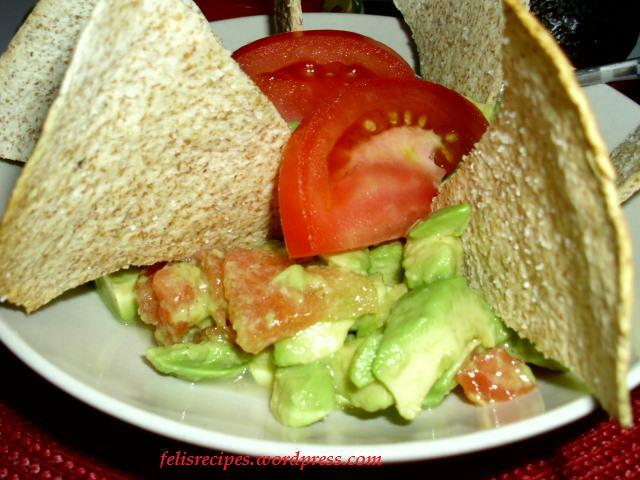 I had the salad with oven whole wheat pita. 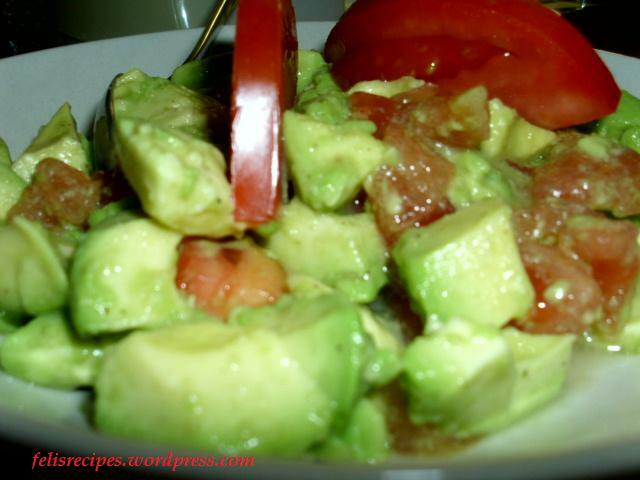 Cut the avocado in half, remove the stone, dice the avocado and place it in the salad bowl. Peel the tomato, save only the pulp and cut it in small pieces. 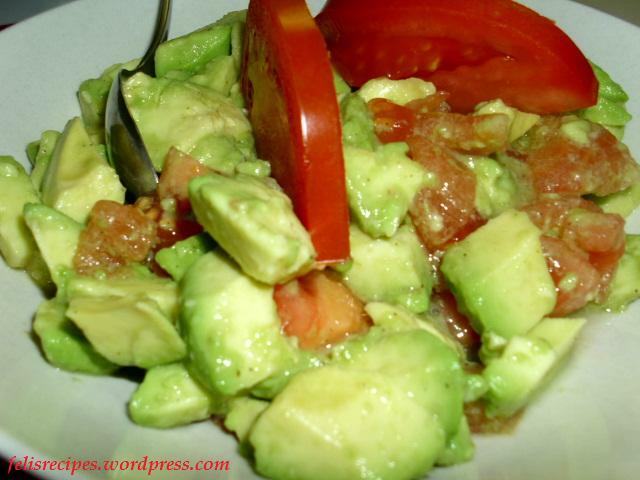 Add the tomato pieces to the avocado. Sprinkle with lemon juice, olive oil, salt and ground pepper. Mix all together, garnish with fresh parsley and serve it right away .